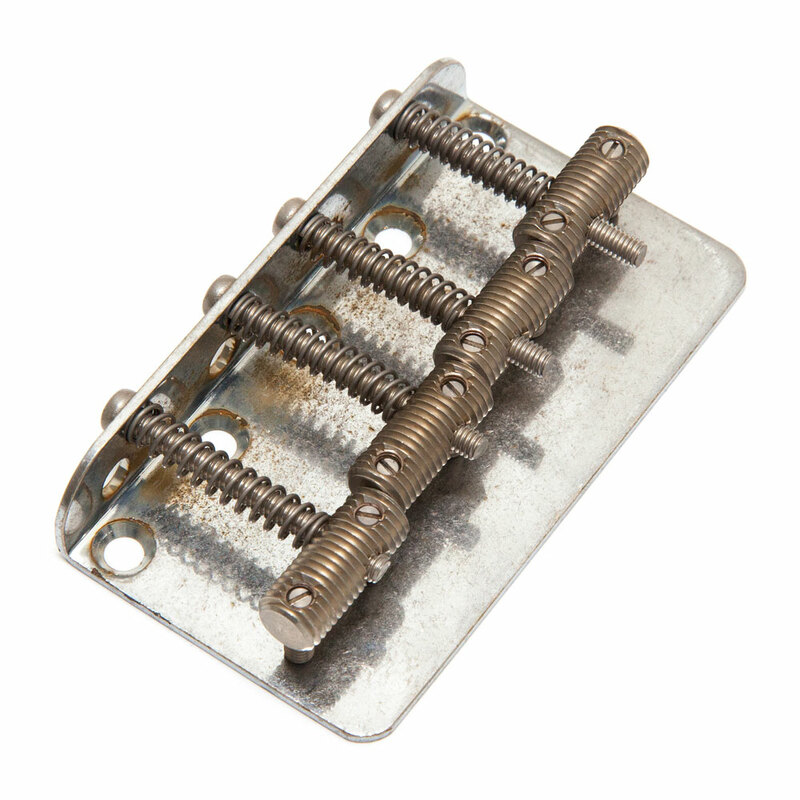 The Gotoh VTB-4 Bass Bridge is in the vintage bent steel base plate Fender style with threaded barrel saddles and slotted height adjustment screws. The brass saddles are individually intonatable and height adjustable and the threaded barrels allow small changes in string spacing. The top loading strings mount through the back of the bridge for quick and easy restringing.